Almost three years ago, I found a relatively new site on the internet. It kept popping up on the first few search results whenever I would be looking for an answer to a programming problem. You had trouble with Java? StackOverflow. You don't understand how python generators work? StackOverflow. You have a question about how C++ friend classes worked? StackOverflow. Because it was such a great site open to free membership, I decided to join. My time as a StackOverflow user started terribly. The first question I asked was also one of the first question I deleted, because I thought it was so terrible! I was transitioning from Java to Python after taking an online course on Python. I was quite new to computer science too. One of the very first question was about the unary operator, ~. I didn't even know what it was called back then. Was it a tridle? Was it a twiddle? What was it even called in the context of computer Science? I didn't know. That's why I asked the question, I had never used it in writing. 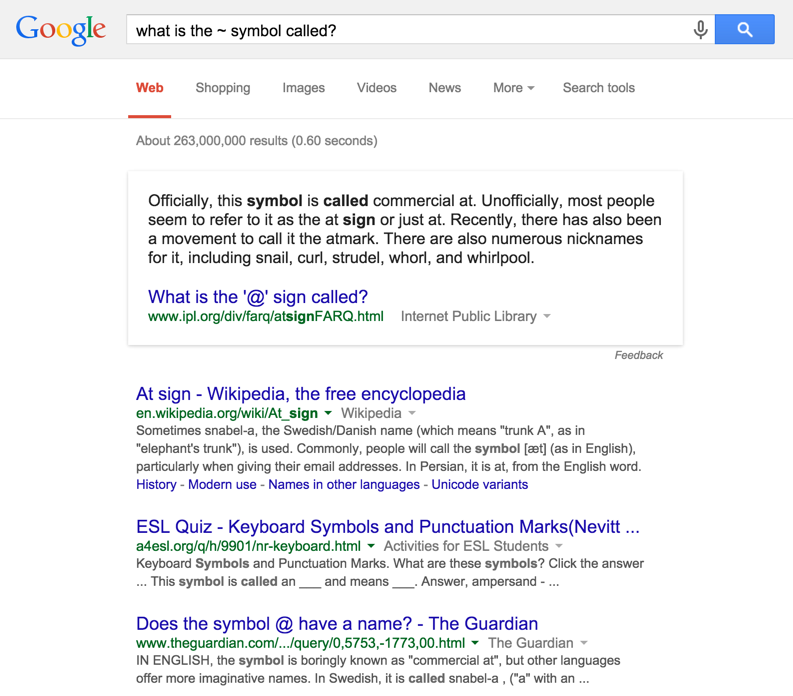 I searched google, and all I got was several links pertaining to the @ symbol. I checked again just now and it still does. I thought to myself that its a simple question, and I'm sure that this would be a valid one. It was down-voted six times in total, where I thought it would be amicably met. If you're the kind of arse that gets a kick out of making other people feel crap about themselves, then the above example has earned nothing but a condescending sneer from you. If so, then you don't need to keep on reading. This was a community that I admired, valued and looked up to. When six of this community conveyed how stupid my question was, I was totally crushed. Wouldn't you be? If the very community you had come to admire had told you that you had the intelligence of a goat, how would you feel? I felt so ashamed that I deleted the question. Such a stupid question is undeserving of StackOverflow. In a site that is completely transparent like StackOverflow, all your stupidity is neatly documented in the questions that you've asked. All your deficiencies are there for the world to see. So I started deleting my questions. But then, I got banned from asking questions entirely. No one told me what I was banned either. Did the StackOverflow bot determine that I was a terrible programmer, and that I had not belong here? Did I not make the cut? Was there a limit to how many times you could be down-voted when starting out? Fast-forward to now, and you still get this kind of behaviour. Trigger happy down-votes and close votes are the norm now. The thing that's changed is that I've answered a few questions and asked a few more too. I wanted to stand in the elections. I didn't because I don't think I'm anywhere near good enough. You need to have plenty of reputation and badges to stand a chance of winning. I don't so I voted for the people who I believe will be a little kinder and gentler to new users. So, whoever you three are, I hope you're kinder to newbies. You might think that StackOverflow is too big and too important to fail. Make no mistake that bars need to be set and examples made. However, that does not give us license to be cruel to new users who value what we do here and want to contribute. I know I'm no one to tell the highly esteemed winners of the elections what to do. I forfeited that right when I chose not to stand. However, I beg of you to consider the consequences of the chronic levels of intolerance that we show new comers. You can only see this if you have the ability to see deleted questions. OP asked a simple question, got down-voted 8 times. Eventually deleted the question. This could eventually lead to OP getting question-banned.